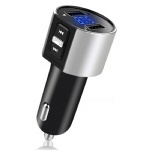 ✔Dual USB & Type-C Charging Port: Coming with 3 charging ports, you can charge 3 devices simultaneously via this car charger. The USB port with music icon is for reading USB disk or charging device, while the other USB port(5V, 2.4A) and type c port ensure the stable and fast charge to your device. 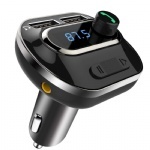 ✔2 Music Modes & Hands-Free Calling: Featuring Bluetooth 4.2 technology, you could enjoy your music from Bluetooth-enabled devices or USB flash disk (≤32G). 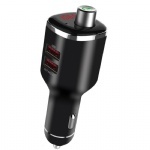 With the built-in microphone and noise suppression (CVC) technology, this car kit frees your hands for calls and music with clearer sound. 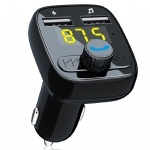 ✔Easy and Seconds Pairing: Just plug this radio transmitter into the car cigarette lighter, tune your car radio to any empty frequency and adjust your transmitter to the same frequency as the car adapter, then it could be automatically searched and connected to your device next time via A2DP function, if the device had been connected before. 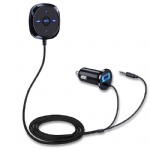 ✔Wide Compatibility: This Bluetooth transmitter is well compatible with iPhone, iPad, Samsung, HTC, Blackberry, Sony, Tablet and other Bluetooth enabled devices such as MP3, MP4 Player. 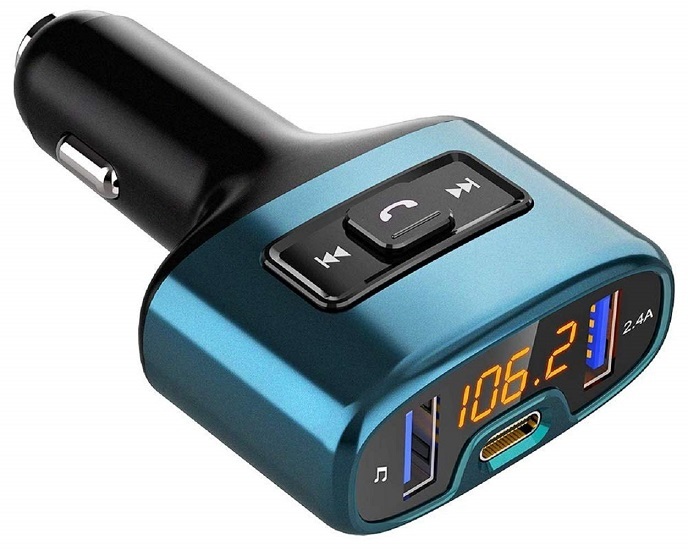 Also, with the wider range from 87.5MHz - 108 MHz, you can get more stable and consequent music experience without interference. 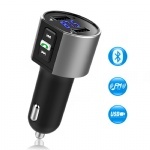 ✔Car Battery Voltage Display & Worry-free Warranty: The FM transmitter will display car voltage once it is plugged into the car cigarette lighter. Enable you to know your car battery health state easily. ★Vproof provides 12-Month warranty for our customers.